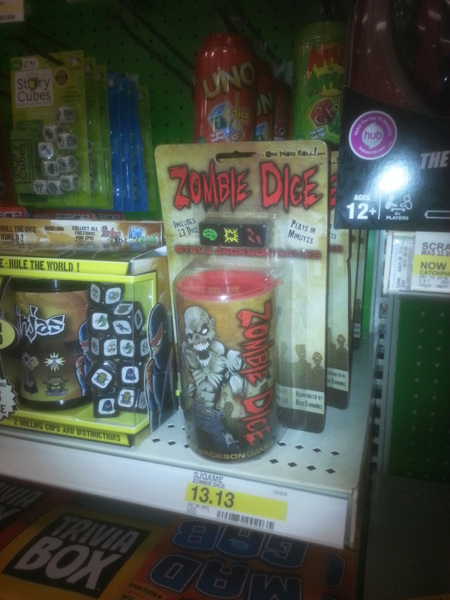 Daily Illuminator: Zombie Dice In Target! September 7, 2013: Zombie Dice In Target! It must have happened. We have pictures! That makes three SJ Games titles in Target. More recruits for tabletop gaming! Yes!